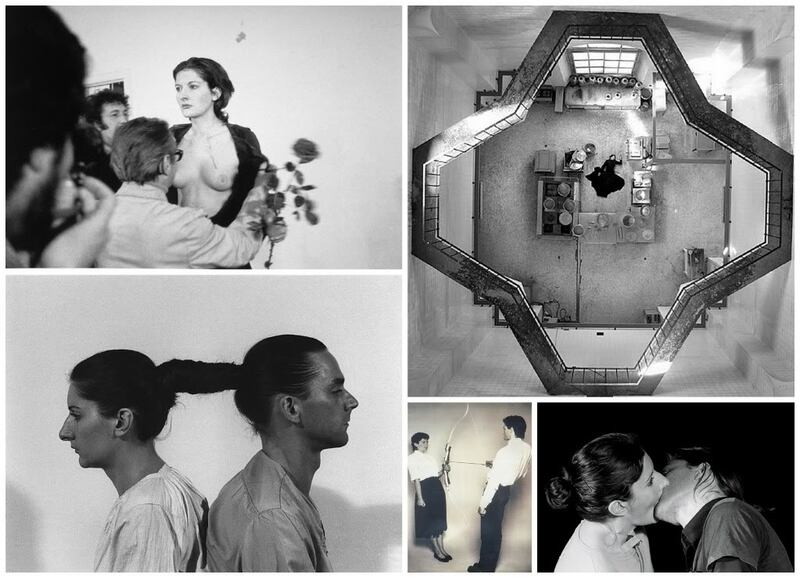 LINKING YOU IN EYES by Marina Abramovich. “The Artist is Present” in MoMa. 1 week ago in the trip Madrid-Bilbao by train, I started watching Marina Abramovic last documentary, “The Artist is present”. I got impressed about the strength, attitude and willingness of this woman. She has performed or gave motion to her thoughts and life experience (family, friends, military education and Yugoslavia society). Marina Abramovic born in 1946 in Belgrade, Yugoslavia. 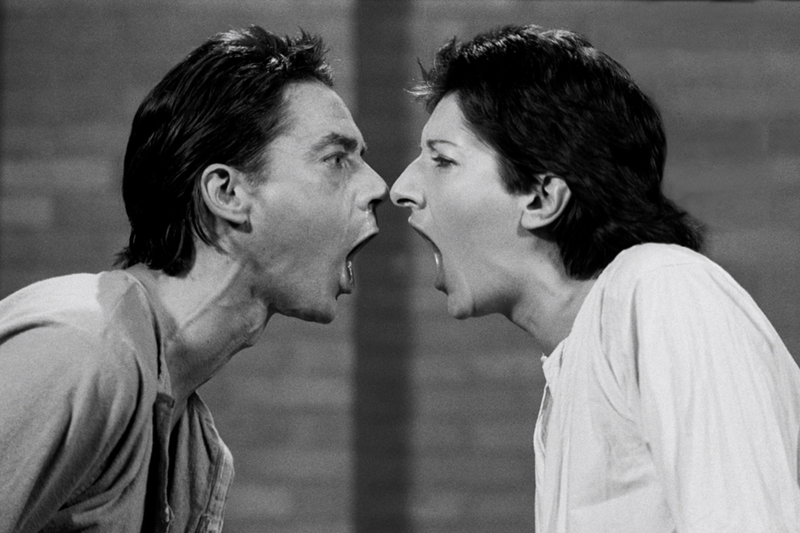 Today, It has been days talking about Marina Abramovic with my friends, so talking about her here on my blog seems something I need to do too. 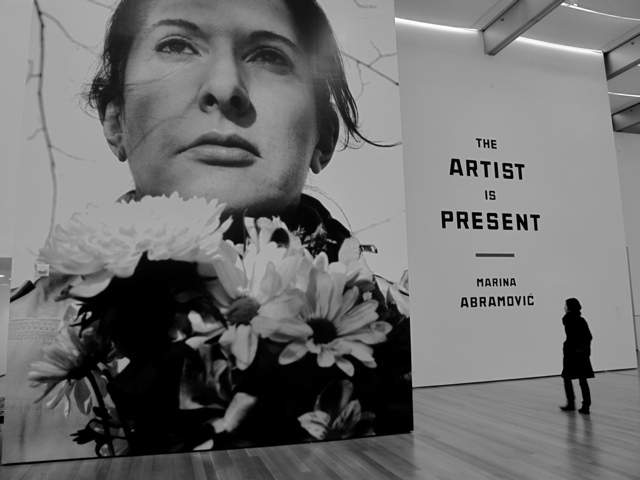 “The Artist is present”: This performance retrospective traces the career of Marina Abramović (Yugoslav, b. 1946) with approximately fifty works of her early interventions and sound pieces, video works, installations, photographs, solo performances, and collaborative performances made with Ulay (Uwe Laysiepen) + A documentary. During 3 months (March-May 2010) everyday, 6 days per week, Marina Abramovic and a group of 39 performers reacted in total 700 hours of live performances. The 39th youth performers joint in an intensive workshop at Marina`s house to learn how to perform her past artworks. The exhibition included the first live re-performances of Abramović’s works by other people setting in the MoMa. 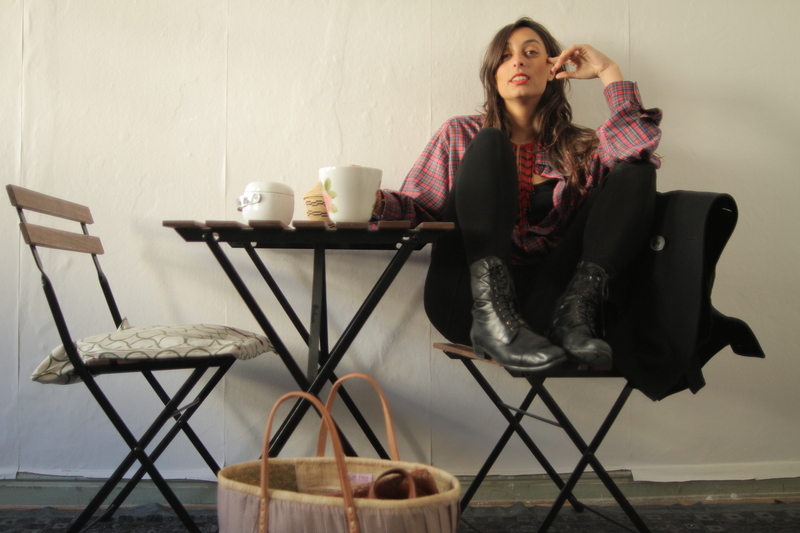 Her performance was that visitors were encouraged to sit silently across from the artist for a duration of their choosing, becoming participants in the artwork. LINKING YOU IN EYES. This piece used to perform with Ulay, her twin. They dressed and behaved like twins, and created a relationship of complete trust. 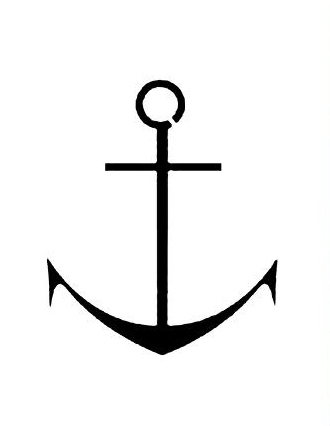 DEALING WITH RELATIONS OF DUALITY. 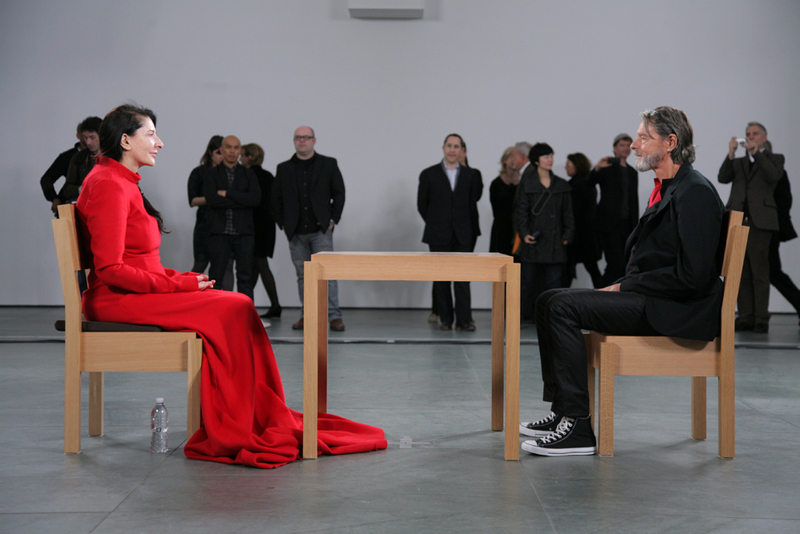 Marina Abramovic and Ulay in MoMa 2010. TAKING INTO THE LIMITS, since the early 1970s, Marina Abramović has pioneered the use of performance as a visual art form. The body has always served as her subject and medium. Exploring the physical and mental limits of her being, she has withstood pain, exhaustion, and danger in the quest for transformation. 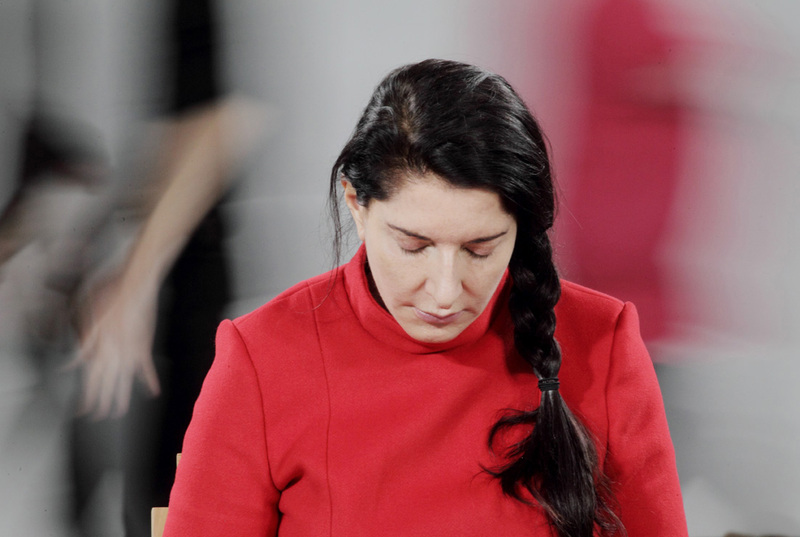 Abramovic’s concern is with creating works that ritualize the simple actions of everyday life like lying, sitting, dreaming, and thinking; in effect the manifestation of a unique mental state. Her artworks can define as “Doing very little during the performance but in a long period of time”, motionlessness, be aware of your feelings, interaction with audience and be present. 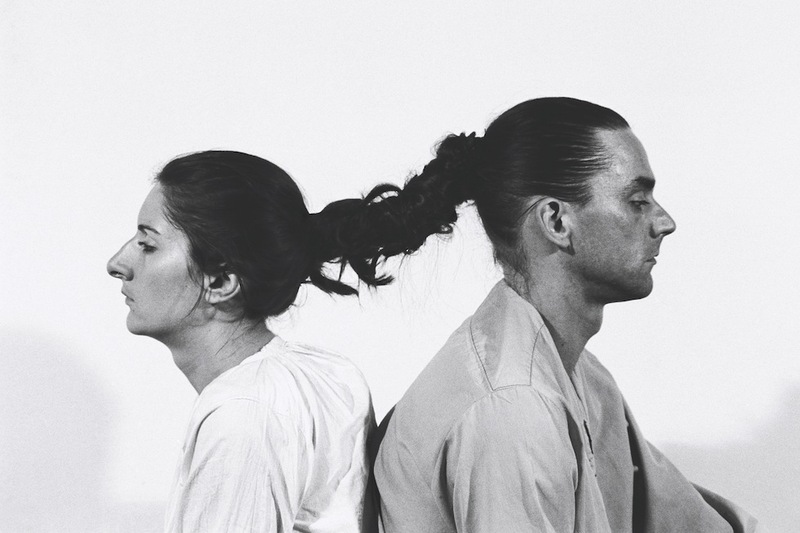 Ulay & Marina 1978. AAA-AAA.